FREE delivery to United Kingdom in 10 - 12 working days. Range extension of Mercury series, in smaller dimension. 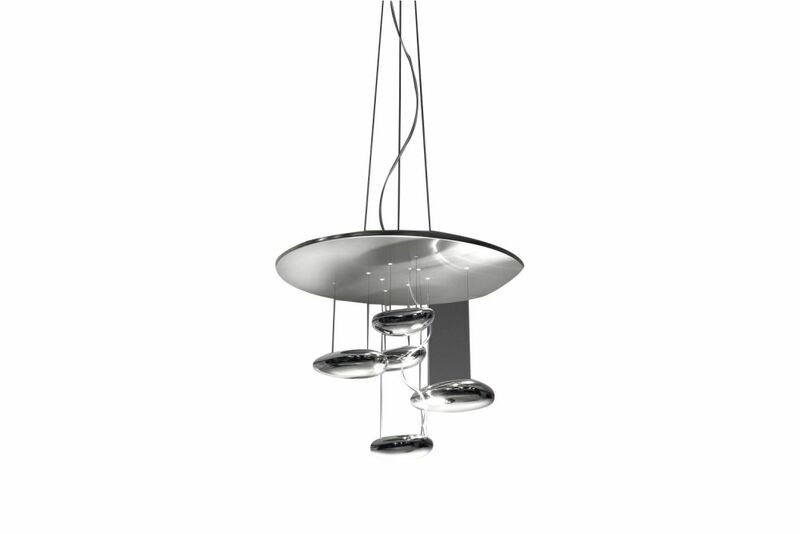 "A ceiling fixture that places a floating assembly of large pebbles below a simple modern disc. These in turn reflect each other bouncing light between their taught bio - morphic surfaces and reflecting the environment around them. During the day the piece acts as a sculptural object reflecting the dynamics of natural light and the movement of people around them." Materials: structure in brushed stainless steel and painted aluminum. Light fixtures in chromed aluminium. Hanging in chromed plastic.